Ellen DeGeneres with wife Portia de Rossi (l.) at the Kennedy Center, Monday, Oct. 22, 2012, in Washington. Comedy star and television host Ellen DeGeneres will host the Academy Awards for a second time it was announced Friday. "We are thrilled to have Ellen DeGeneres host the Oscars," said ceremony producers Craig Zadan and Neil Meron in a statement. "There are few stars today who have Ellen's gift for comedy, with her great warmth and humanity." "I agreed with Craig and Neil immediately that Ellen is the ideal host for this year's show," added Cheryl Boone Isaacs, Academy President. "We're looking forward to an entertaining, engaging and fun show." "I am so excited to be hosting the Oscars for the second time. You know what they say -- the third time's the charm," said DeGeneres in a statement. She first emceed the event in 2007. 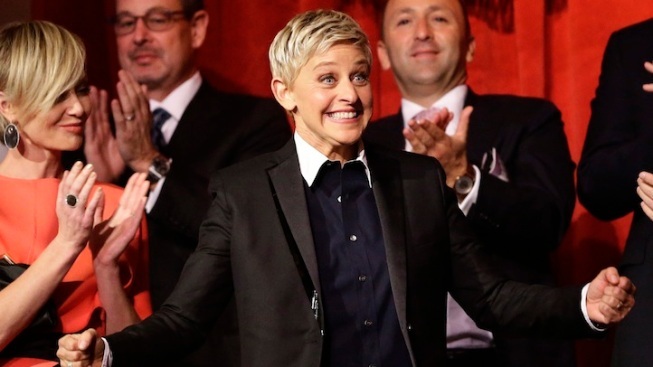 DeGeneres is no stranger to hosting award shows. It was with grace and humility that she famously shepherded the 2001 Emmy Awards which took place in the aftermath of the Sept. 11 attacks. In August 2005 she returned to the Emmy hotseat and she also hosted the Grammy Awards in 1996 and 1997. Rumors have swirled for months over who would emcee the event in 2014. Seth MacFarlane hosted in February to mixed reviews and let it be known soon after that he would not be returning for back-to-back gigs. When asked by a Twitter follower in the days following the Feb. 24 ceremony if he would host again should producers approach him, MacFarlane replied: "No way. Lotta fun to have done it, though." Tina Fey also took herself out of the running for the job despite her highly praised turn co-hosting the Golden Globe Awards alongside Amy Poehler in 2012. "I just feel like that gig is so hard," she told the Huffington Post in February. "Especially for, like, a woman -- the amount of months that would be spent trying on dresses alone...no way." Luckily for DeGeneres she favors suits and ties over evening gowns when it comes to red carpet dressing. 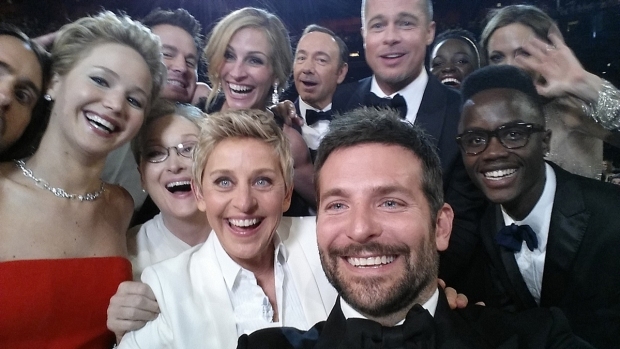 The Academy Awards will be broadcast live on Sunday, March 2, 2014 on ABC.